Seasons greetings from all of the team at Latis Scientific! 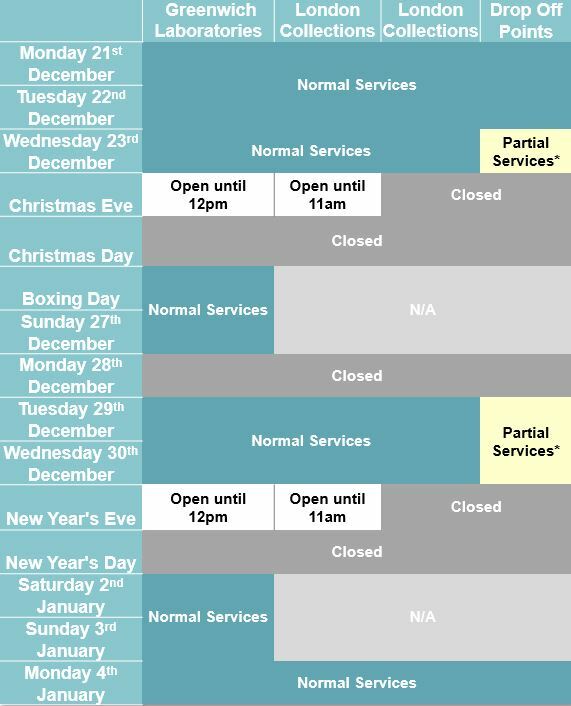 Please see below details of our opening hours and services this festive season. Our offices will be open as normal between 9am – 5:30pm Monday to Saturday, except for Bank Holidays. Please contact your Client Liaison Officer at reports@latisscientific.co.uk if you require advice on submitting samples for time sensitive analysis over the holiday period. *Operating as normal except for the Watford drop off point.